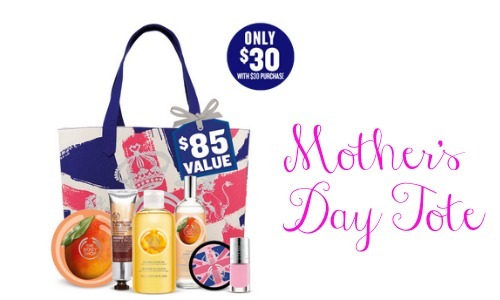 The Body Shop is offering the 2015 Mother’s Day Tote filled with 6 customer favorites for $30 with a $30 purchase. This bag is valued at $85 so it really is a fun deal. They are offering several sales right now so it won’t be hard to get some great finds that mom will love. Limit (3) per order. Order by 3pm on 4/30 for guaranteed delivery by Mother’s Day.